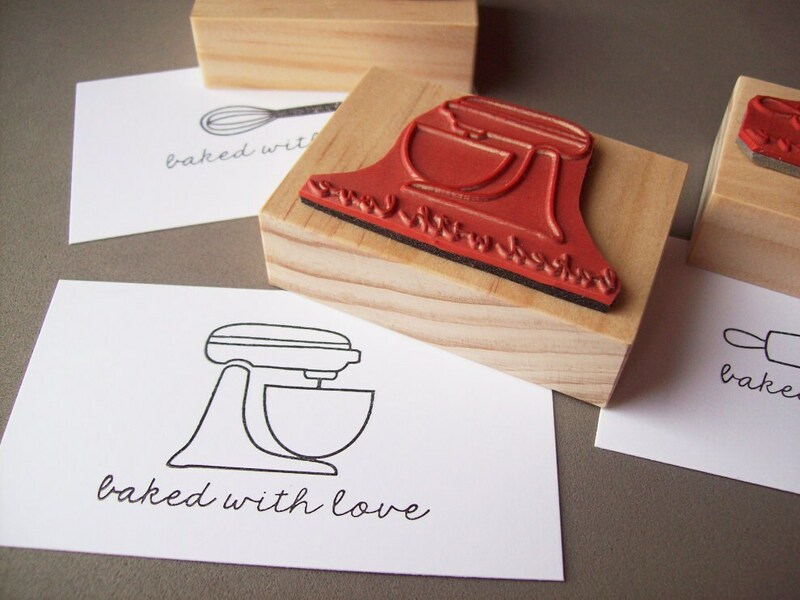 This listing is for 1 stamp with the graphic of your choosing! 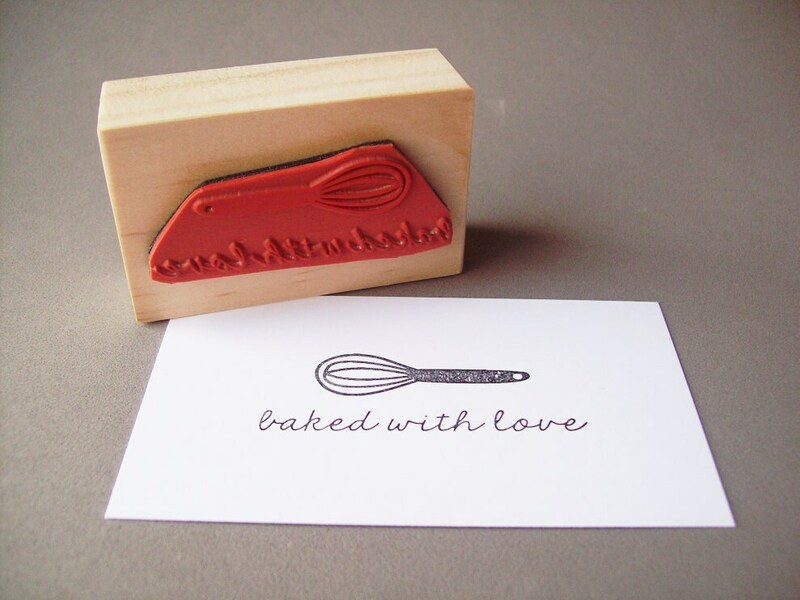 Choose from a stand-up mixer, whisk, or rolling pin as your graphic. 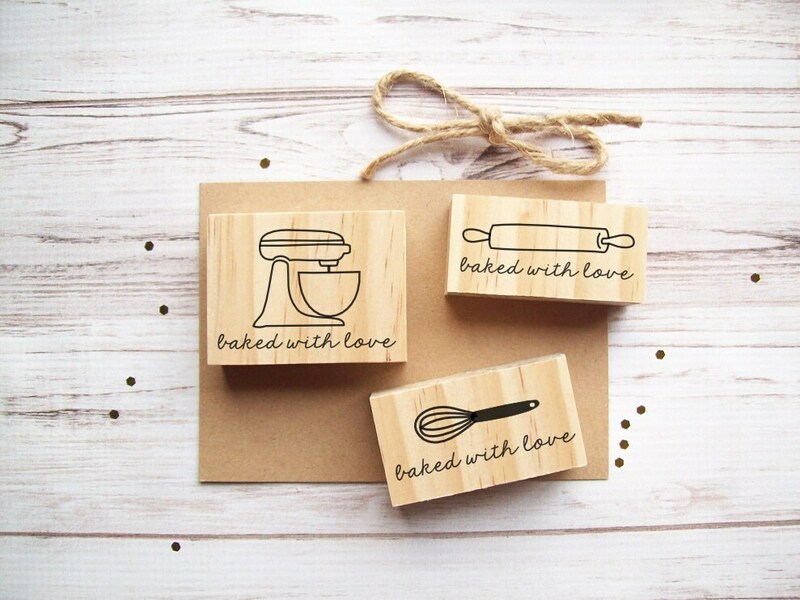 Each stamp says "baked with love" in cursive handwriting underneath. If you would like to order all three, please select a quantity of (3) from the quantity drop-down menu to the right.